A brand we don’t get to feature on here very much these days is Hummel. And there is a story behind why. 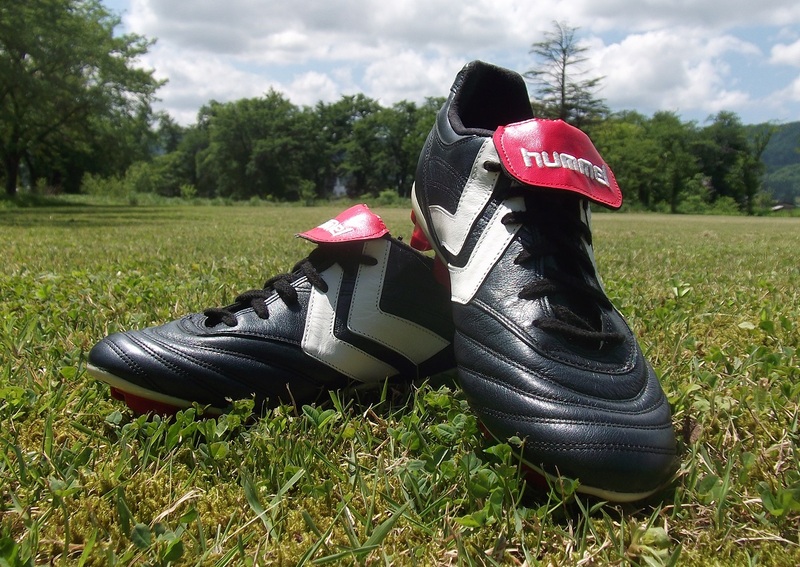 As part of our Cleatology series, we take a look back at the Hummel Professional, a boot that came out way back in early 2004 as part of Hummel’s “Vault Series”, which was actually released in the US at the time. The boots in this Vault series were all handmade in Japan and produced in very limited quantities. While most boots (then and now) are machine-stitched, the boots in this series were all stitched by hand and made from a high-quality kangaroo leather. Now, here is where things get interesting; they were also some of the first boots to retail above $300, with the Professional coming in at a whopping $400! Also included in the was the Aficionado (retailing at $300), the Golden Goal (retailing at $350). This was at a time when the Adidas F50 retailed at $150 and the Mercurial Vapor retailed at $175. Thus, putting these boots out the price range of most. In releasing these products, Hummel sought to create a high-end, luxury market for soccer. Moving on to the model in hand, the entire upper is made with an excellent kangaroo leather that still feels soft and supple even though the boots are now 13 years old! It is fairly thin and not overly cushioned which allows the boots to have a fairly close to foot touch on the ball (for a leather boot that is). The heel is lined with suede that is among the best I have ever felt. It is a classic boot in terms of tech specs but there are a couple of bells and whistles that we can tell you about. The soleplate is Hummel’s HGL plate which at the time was considered by Hummel to it’s lightweight plate layout. The soleplate also has a honeycomb air insert in the heel to provide cushioning and to reduce pressure on the player’s heel. Think of it as Hummel’s take on Nike’s air system. Another thing that interesting about the soleplate is that instead of having only the 4 studs that you would normally find on most firm ground boots, this particular model had five studs in the back, with two of the rear studs being placed on instep of the heel. This is something that could later be found on models like the Puma V-Konstrukt and the later Puma Powercats. The studs themselves were even hollow so as to make the weight of the soleplate even lighter by standards of the time. This allowed the boot weigh in around 9.4 oz. – not light by today’s standards but when the boot was released in 2004 it made the boots lighter than most. The insole also slightly different than what could be found in most other boots. Predating most other tech of this type by several years the insoles have a grippy and almost rubbery material in the heel portion to stop the foot from sliding around the boot as easily, much like how Under Armour’s 4D insole works. 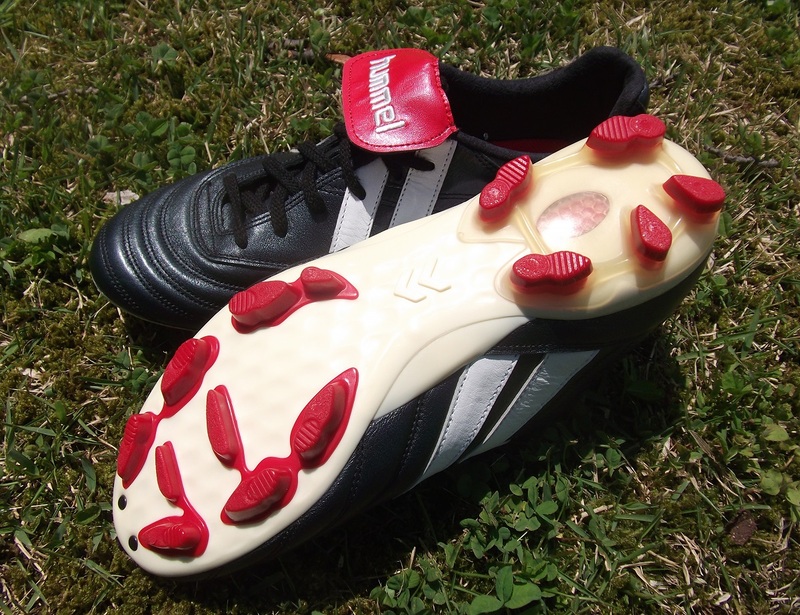 The insole feels thick and nicely cushioned however this was fairly standard at the time as many companies did not make boots as light as most are now because of technical limitations. 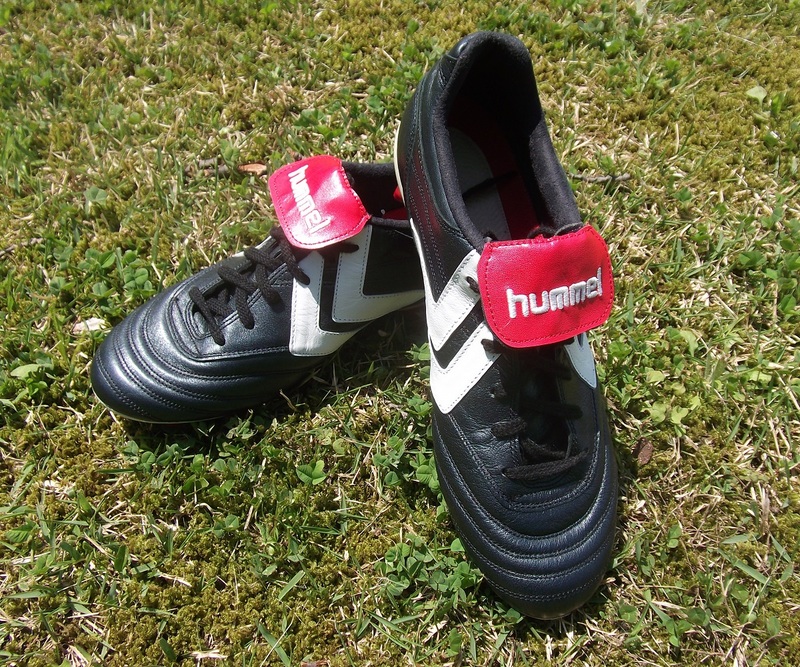 Hummel failed in their task to create a high-end market for soccer, mostly because the boots were never on enough players’ feet and not enough money was spent on marketing. 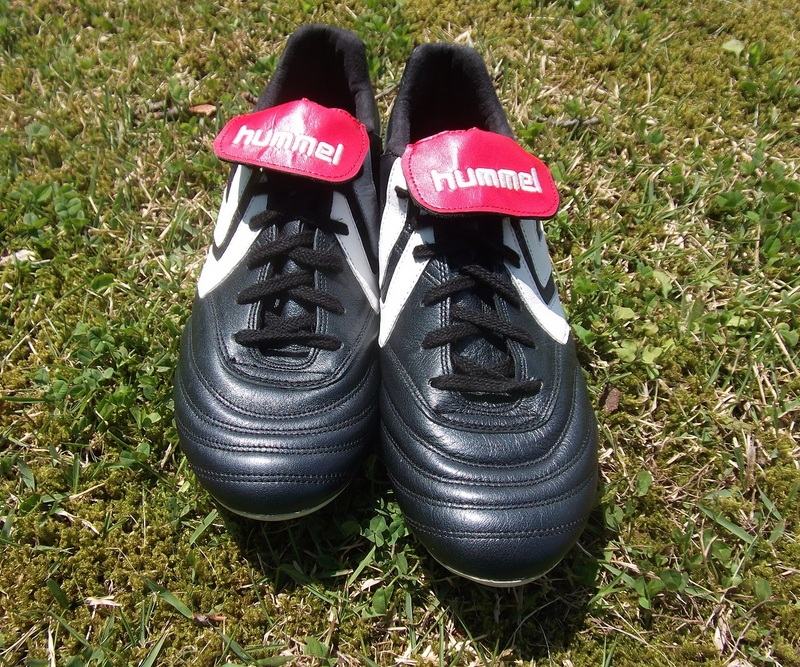 Although Hummel was around in the US market the next few years by 2006 they faded away from selling product in the US. Even though the Vault Series was supposedly only released in the US the boots were also released in Japan, the country they were produced in. Some of boots even had different names in Japan with the Golden Goal being called the Mexico ’86 and the Professional having its name changed to the Legenda. This was the start of a good run in Japanese market for Hummel and the company continued to produce Made in Japan boots exclusively for this market. 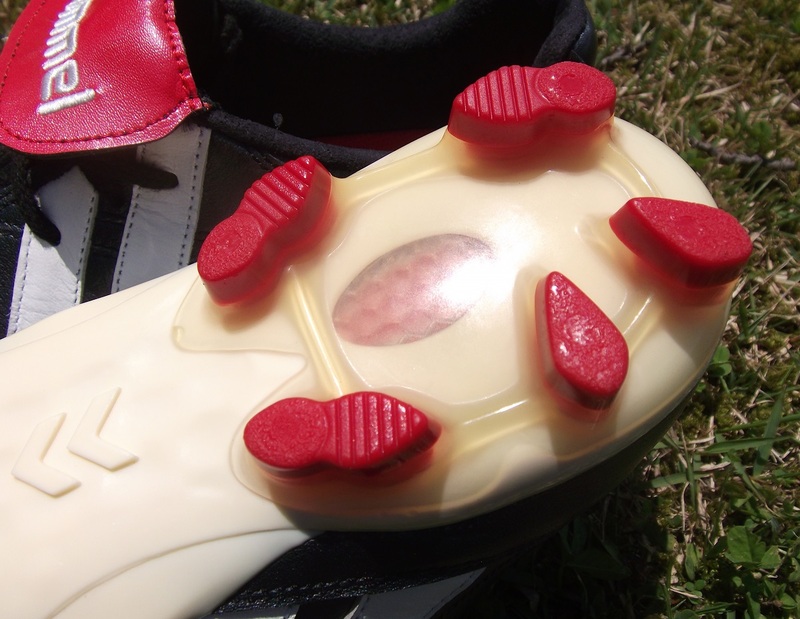 The HGL soleplate was particularly popular and was used on six different models over the next few years, with the last appearing in 2009. Hummel has never quite reached the same heights as before and unfortunately the first ever high-end luxury boot series is largely forgotten. With most boots these days easily hitting the $300 mark and most limited edition boots going for more finding a boot these day above $200 is the norm. In a way, the market now has high-end luxury boots and even hand-made boots are becoming easier to find. Hummel may have failed but the market succeeded.